Mr.Sharnjit S. Gill has spent his entire life in the Banking industry – joined UCO BANK (United Commercial Bank) on 2nd February, 1969. Through out his service in United commercial Bank , he was transferred to different locations- one of them being London, England where he served in London and as a Branch Manager in Leicester , UK for 4 years. His dedication and hard work got him overseas transfer to UK as a reward for helping people and his community. 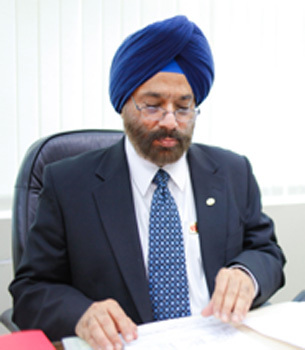 In 1995, he resigned from UCO Bank and decided to move to Canada with his family. Upon arrival, he joined Bank of Montreal (BMO) in Dec, 1996 as a Financial Services Manager. Within a short time , he created a strong value for himself in the community. 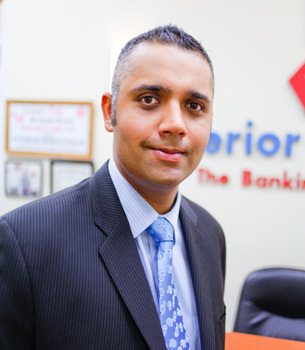 In Dec, 2000, he had resigned from BMO and started working as an Independent Mortgage Broker under his own Mortgage company – VERICO Superior Mortgage Inc. Since the inception of VERICO Superior Mortgage Inc he was devoted himself to Mortgage field. During his 32 years in the Banking industry, he gained extensive knowledge and experience in leading and people management. 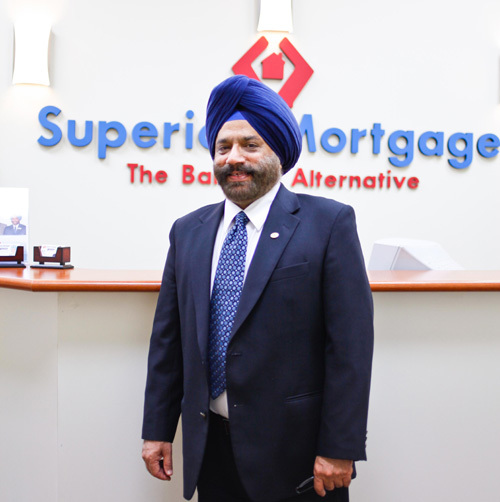 Since the inception of Superior Mortgage Force he was devoted himself to developing the company. Ranked CMP Top 24th in 2010. Ranked CMP top 29th in 2009. Mr.Gill received Top PRODUCING MORTGAGE BRPKER AWARD – 2002 & 2003 from Envision Credit Union. He was also a member of the 100% club awards with Bank of Montreal. His 3 Branches of UCO BANK were declared as model branches for providing exceptional customer service business development. For his excellent customer service and performance he was selected to overseas posting to London, UK. Mr.Sharnjit S. Gill has spent his entire life in the Banking industry – joined UCO BANK (United Commercial Bank) on 2nd February, 1969. After attending University of British Columbia, he completed Mortgage Broker qualification and started working as a Sub Mortgage Broker in July 2001. Raj is also a Golfer and will be a professional golfer soon . He has learnt the art of being a team player and believes in working till the customer is fully satisfied. He has also volunteered at Surrey Memorial Hospital and has looked after seniors. Raj is also a Licensed Insurance Agent and is looking forward to help his clients with not just Mortgages but also their Insurances! His Motto " Don't Leave Your Mortgage to Your Family- and Make Sure You Are Fully Covered. She completed the requirements from UBC Sauder School of Business and started working as a Sub Mortgage Broker in July 2004. Mani also has her Bachelor of Business Administration in Human Resources from Kwantlen Polytechnic University and is working towards her CHRP designation. 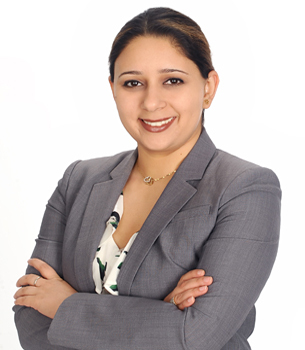 She is looking forward to helping her clients (existing and new) with their mortgage needs and is hoping for the same love and support that has been given to Mr.Gill in the previous years.